"First Bulletin on Pearl Harbor Attack"
"December 7th, 1941 — a date which will live in infamy". This fine collection includes the Complete Broadcast of Pearl Harbor December 7, 1941. The attack changed the history of the world and officially brought the United States in World War II. It is a day that will "live in infamy." The Imperial Japanese Navy was under the command of under the command of Admiral Isoroku Yamamoto. The Japanese attacks on Pearl Harbor began At 6:05 am on December 7, 1941 as 6 Japanese aircraft carriers released the first wave of attacks which includes 183 planes with heavy bombers and fighters. 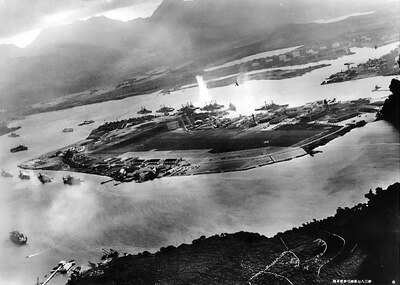 The first wave of Japanese attackers arrived at Pearl Harbor at 7:51 am and the second wave of attacks arrived at 8:30 am. At the moment of the attacks on Pearl Harbor, the Japanese Ambassador to the United States delivered the declaration of war to President Franklin D. Roosevelt. The entire death toll for the day reached 2,350 with 1,178 injured. 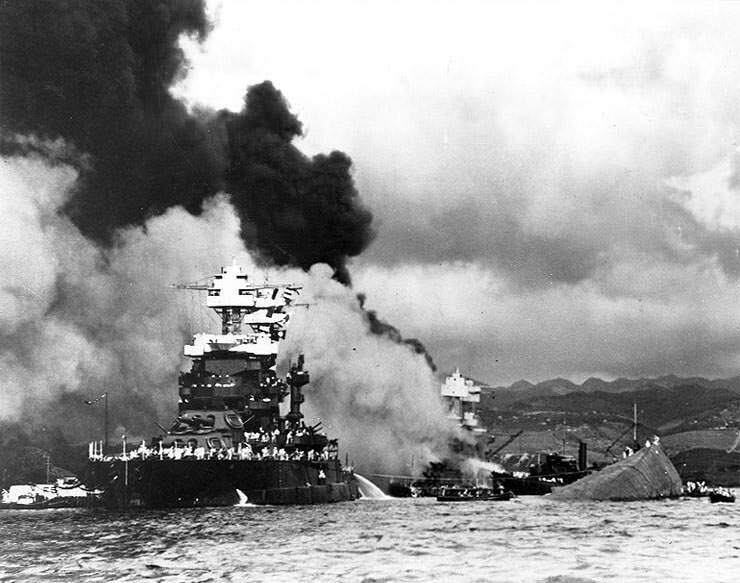 The battleship Arizona sank within seconds killing 1,177 people. The attack sank four battleships damaged four additional battleships and destroyed 188 aircraft among other damage. A Japanese admiral later said of the Attack on Pearl Harbor, "We won a great tactical victory at Pearl Harbor and thereby lost the war." The entrance of the United States in WWII eventually lead to the defeat of Imperial Japan. This is an excellent find and includes many bulletins, news reports, and speeches. One bulletin announces that "all recruiting stations will be open tomorrow morning at 8 am" as young men swarmed military recruitment stations looking for ways to serve their country. First lady Eleanor Roosevelt after the attacks on Pearl Harbor speaking of her faith in the citizens of America. There is also great additions to the Complete Broadcast of Pearl Harbor December 7, 1941 including The Infamy Speech and formal declaration of war on Japan by President Franklin D. Roosevelt delivered the following day. This collection is also part of the larger Hawaii Collection of Old Time Radio Shows.